Born June 18, 1896, in Chicago, IL. Blanche was raised by her grandmother who introduced her to the stage at an early age. When finances got low in 1909, Blanche and her grandmother was urged by a friend to check into the Biograph Studios where she filled out an application. Hearing nothing from Biograph, she went to Edison where she was immediately put to work as an extra. Her first starring picture for Edison was "A Man with Three Wives" (1909), a split-reel comedy. After this, Blanche and her grandmother decided to try Biograph once more, but this time they were told to ask for D.W. Griffith. He put her to work that very day as an extra in "A Corner in Wheat" (1909), and she remained with Biograph as one of Griffith's main stars for the remainder of his years at the company. One of her most memorable performances, which is available for viewing today, was in "The Lonedale Operator" (1911). She made over 70 films for Biograph before Griffith cast her in the lead in his first feature, "Judith of Bethulia" (1914). Sweet's role as the self-sacrificing Judith was universally praised. Griffith left Biograph for Reliance-Majestic, and Blanche made her last three films with Griffith at this company - "The Escape" (1914), "Home, Sweet Home" (1914) and "The Avenging Conscience" (1914). After this, Blanche reluctantly (she didn't want to leave Griffith, but was hurt when he told her to go ahead and accept her new offer) accepted an offer to join the newly formed Famous Players-Lasky company headed by Jesse Lasky and Cecil B. DeMille. Her first film for the company was "The Warrens of Virginia" (1915) which was directed by Cecil B. DeMille. 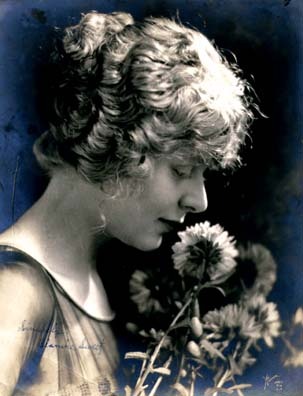 After her contract with Lasky ended in 1917, she left the screen for almost two years feeling very bitter about her career. She returned to the screen in 1919 in "The Unpardonable Sin" directed by Marshall Neilan. She and Neilan would eventually marry in 1922. Blanche made 14 negligible films after her return to the screen before her greatest triumph, "Anna Christie" came along in 1923, and it was both critically and commercially successful. During the 1920's, she made approximately 25 films, only one of which, other than "Anna Christie," stands out - "Tess of D'Urbevilles" (1924). In 1929, she and Neilan divorced. After a few talkies, she toured vaudeville for awhile and returned to the theatre appearing on Broadway. She appeared in some plays with Raymond Hackett whom she married in 1936 and lasted until his death in 1958. Blanche lived comfortably in New York until her death there Sept. 6, 1986.